The upload is up on the app now. Pics and comments to follow. Nulu Simply Bare Bra for A/B ladies. I like the shape of this a lot, too bad it's made out of non-supportive nulu and not power luxtreme. Very tempting rulu Pick Up the Pace LS pullover. 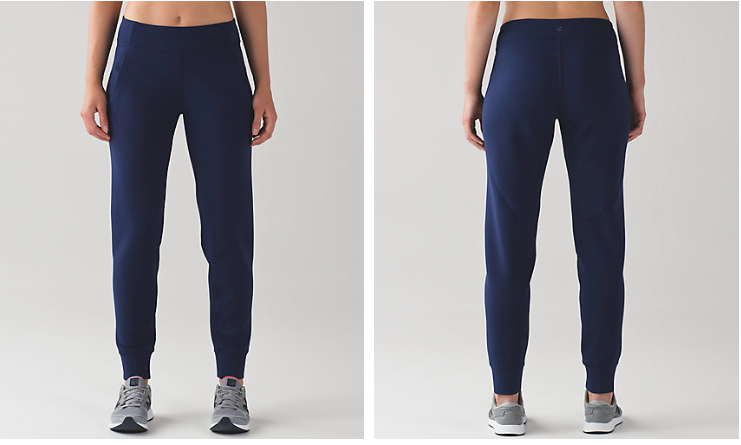 New swift jogger pant called the Get Ready Jogger. 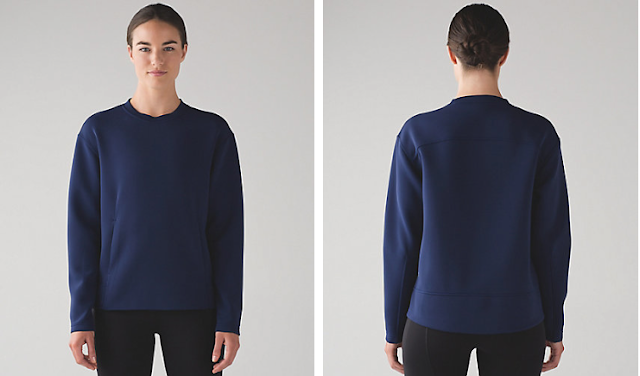 New merino wool Rising Salutation Sweater. Polar Pink and Bordeaux Drama Energy Bra. The Polar Pink is tempting me. 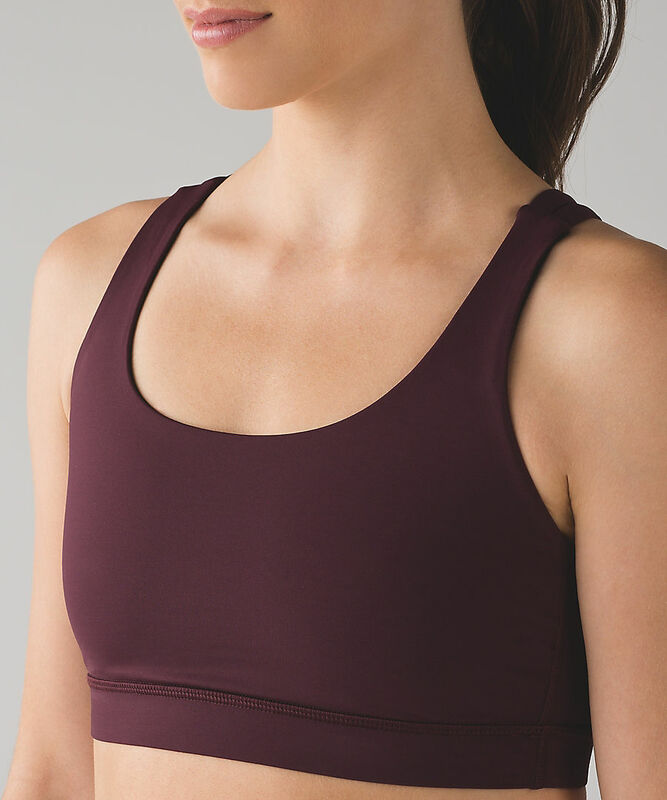 Nulu Simply Bare Tank. I might order this to try. I ordered this to try. I'm thinking it might make a nice First Base rulu tank alternate. Cute nulu Simply Bare LS. Get Ready Jacket made of "waterproof and windproof" fabric. So many vague fabric designations lately. I like the lines of this one. Shatter Wave Speed Tights. These are solid luxtreme. 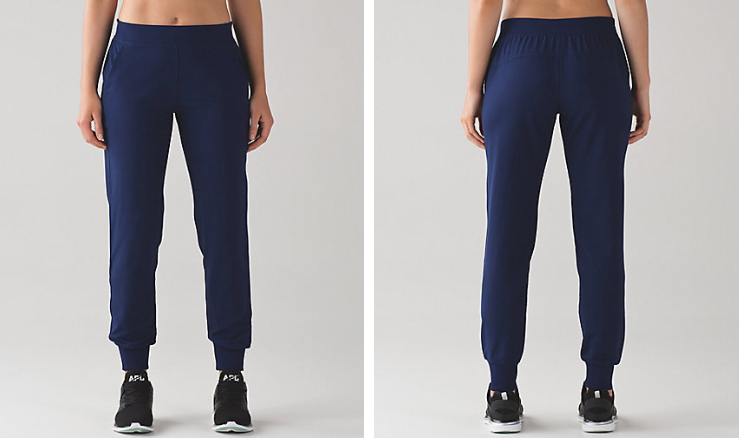 Get Ready Jogger Brushed, made of "waterproof and windproof" fabric. Canada got two luxtreme WUCs in Score Jacquard Cerulean Blue and Polar Pink. The bottoms are doing nothing for me. Athleta just sent me a $10 off coupon that I might use. They seem to be doing away with their Sonar crops, though. If anyone knows the equivalent bottom that uses the same fabric as the Sonars let me know. The Simply Bare tights look like muffin-top central. Yuck! I'm bummed I missed out on all the CRBs they had on markdown. Hoping they're coming out in some funky colors again soon. I'm totally conflicted about Lulu these days. 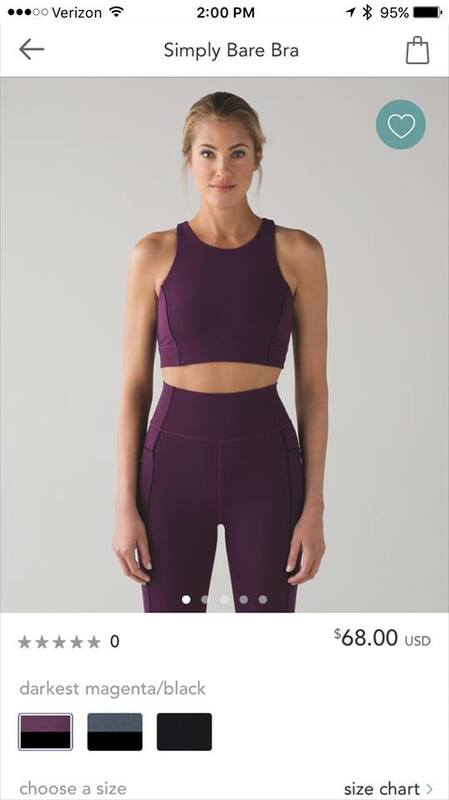 Although there were some items tonight that tempted me - the polar pink energy bra & crb, as well as the simply bare tank - I feel like this stuff is so "basic" relative to things other boutique brands are putting out (like Varley, Alala, Werkshop, L'urv, etc). I just bought 5 CRBs on WMTM and part of me is like...why??? 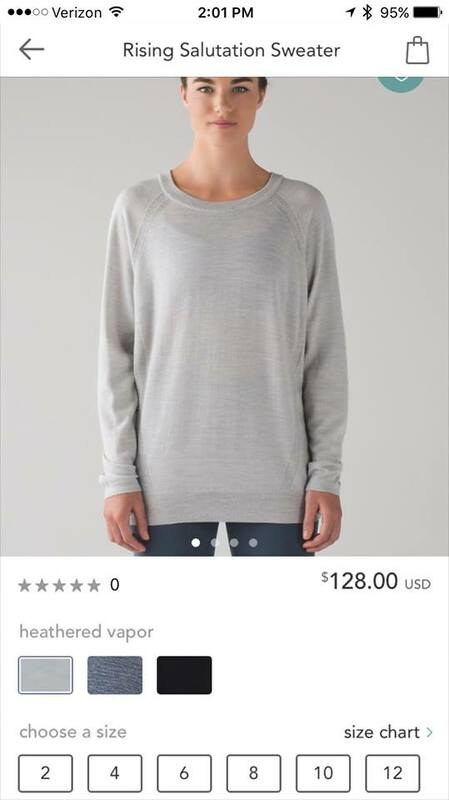 Yeah, good price, but maybe I should be putting my money to unique pieces, not more basic ones. Having said that, the advantage of basic is that it's so easy to wear, practical and functional. 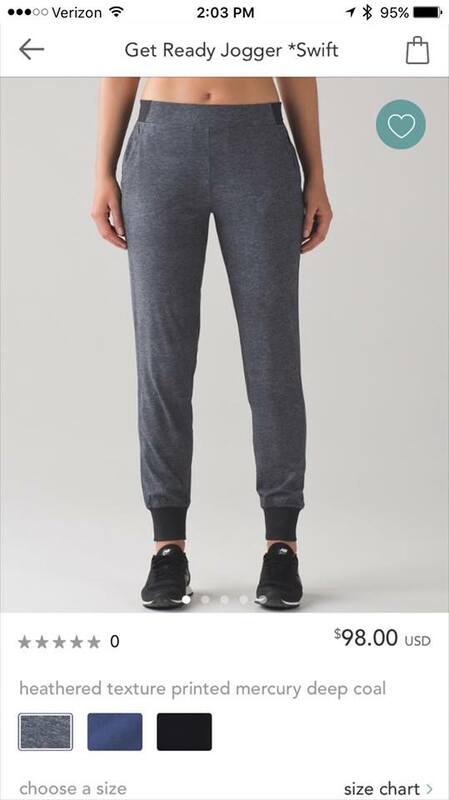 Despite the quality of Lulu decreasing over the years, there are still features to Lulu's pieces that I find superior to these other brands - continuous drawcords in the run/train leggings, pockets, performance friendly and not just nice looking for athleisure purposes. I don't know. 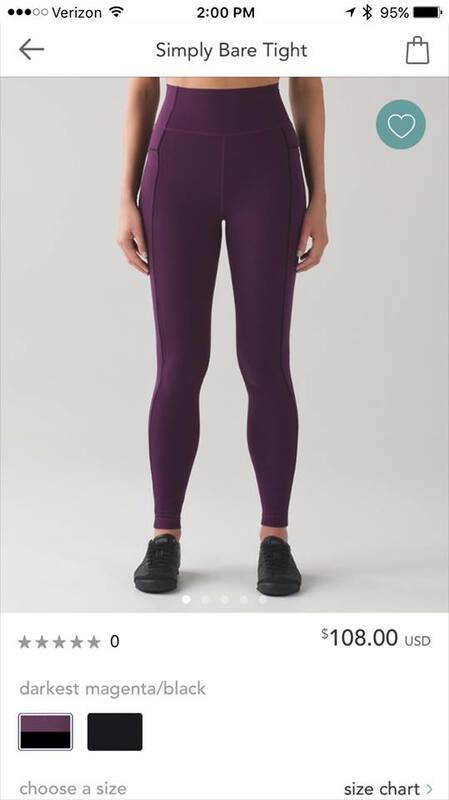 I wish Lulu would take more chances and put out some more forward designs rather than clearly focusing on their bottom line. 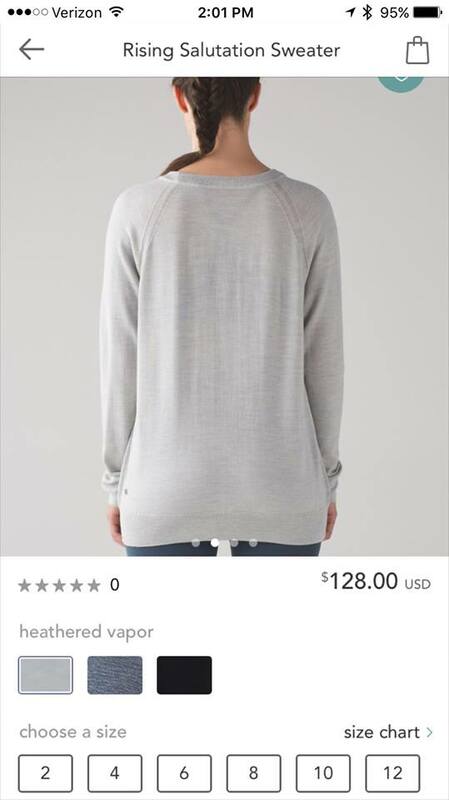 Oh sweet, more shapeless, boxy, and unflattering tops that are overpriced. Because there are not already enough of those on WMTM. Yawn. 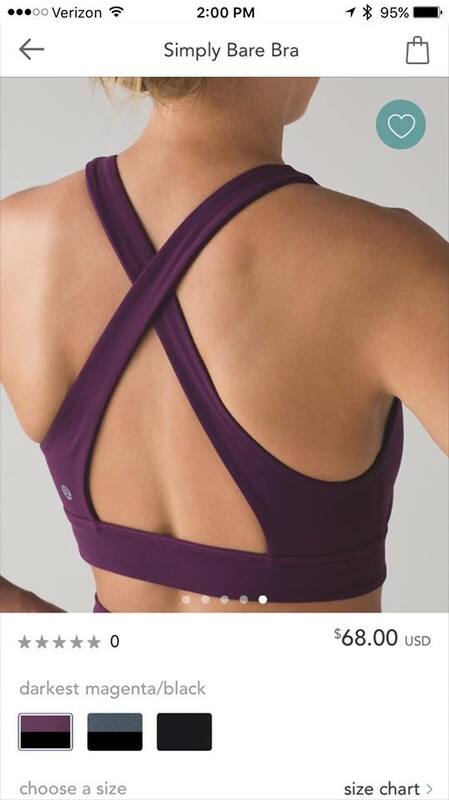 Nothing that resembles Lululemon anymore. 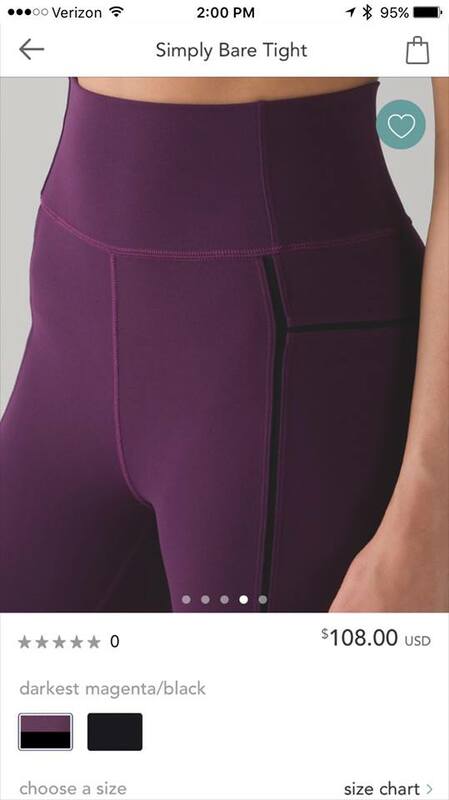 I've been loving the high rise chats from Athleta. I shop when the do the 20% off codes, and I've scored some finds in the clearance also. Their return policy is so much better than Lulu! I agree Ky!!! SO SO SO BORING! SOOO boring! Lulu has been such a disappointment for I don't even know how long. Thanks to IG I've discovered so many newer edgier brands. Carbon38 is the place that houses a lot of these brands. Obsessed. Buh bye Lulu and your frumpy boring stuff. What even is this??????? All this crap is shapeless, disgusting, and drab. I wouldn't be caught dead wearing this. Why can't Lulu pull it together?! DOES ANYONE LIKE THIS? Anyone??? Ugh on all this! Been wearing my vintage lulu cold weather running gear. 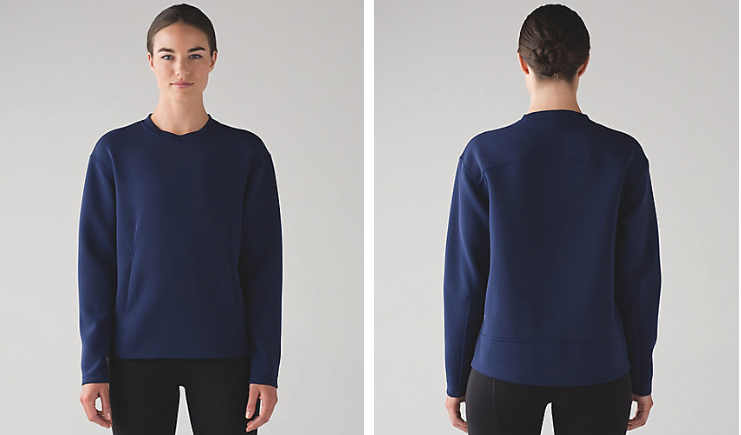 Pullovers with every detail: cuffins, key holders, pockets, etc feminine fit. Really wishing I had bought extras. I'm marveling at the feel of the fabric so soft rulu with ruffles. I can't see or feel anything similar to those older pieces any more.... so sad. It all seems boxy shapeless and no technical features. The winter run gear used to be my favorite and I keep waiting for something to pop up but continues to get worse. I think I'm over it. This merchandise looks so pedestrian and like stuff you would find at LL Bean for less. What is the deal with the RBF on the models? I miss the models from years ago who smiled like they were actually happy to be wearing the clothing. I can't tell one upload from the last. It is easy to pick out the items that aren't selling well because they stick around in the "what's new" section week after week. Luluaddict you should buzz into an Athleta store if you have one close. I have a terrible time with shopping their website and end up going into the store at least once a season to check everything out. Hmm, I really like the darkest magenta / black simply bare tights and the score jacquard colour ! I agree, would have purchased it at a lower price. I returned my sit in lotus as I was worried about the shrinkage. Would have loved to find a replacement. The upload is boring and over priced. My GOD, how low Lulu has fallen. This stuff is absolute garbage. That Polar Pink print on the WUC should have come out YEARS AGO. Insulting that they think we are this stupid. I hope the rest of you are not buying this stuff, otherwise Lulu will never get better. STOP, look elsewhere. Soooo glad I have tons of old Lulu items that I held on to and still have tags on them. Very sad to see this downfall. I went to lulu the other day because i had a credit for a pair of pants that had pilled so bad I couldn’t wear them — the fifth one in a few years. 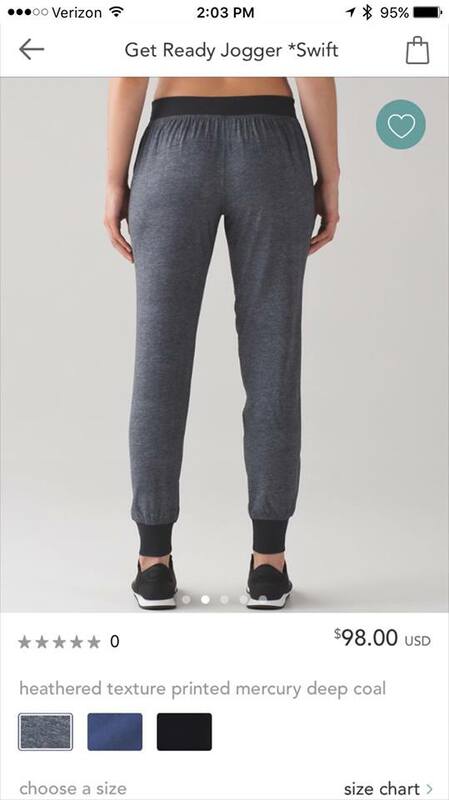 I had decided I’m not buying more pants at lulu anymore — they simply do not hold up as well as other brands, and I’m tired of their slow and cumbersome quality guarantee. So I thought maybe I’d get a hoodie or pullover, and grabbed quite a few to try on. First, they had only about 3 colors, and all were dark and drab. But, worse, every hoodie I tried on besides the scuba was boxy, droopy and fit terribly. Even worse than that, the prices are insane! 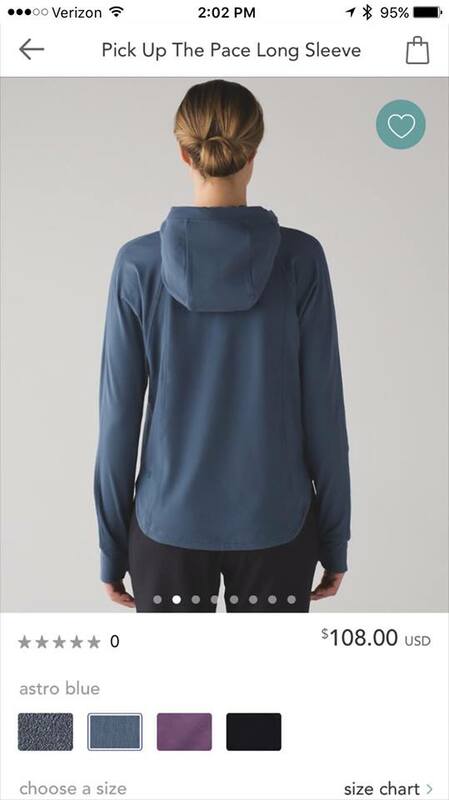 A few baggy, shapeless sweaters and hoodies are $150! C’mon! While the scubas have a better fit and more color choices (although nothing exciting), the material does not feel worth the price. Honestly, nothing in that store seemed worth the price. I ended up picking up an okay fleece hoodie on the sale rack just to use up my gift card, but it was still $80 for a basic black hoodie with a plastic zipper. I’ve decided that this is my last purchase at lulu. I’m tired of paying ridiculous prices for pants that pill, clothes that are unflattering, and lackluster customer service — to return the last pair of pants, I had to go through three different people to get someone that didn’t try to tell me I don’t know how to care for my stuff. There are too many other brands out there that are just all around better, less expensive, and not nearly as frustrating. Ugh. 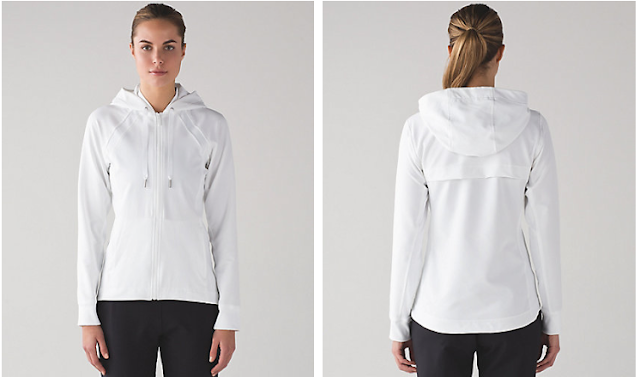 I'm buying almost everything from Athleta now. I hate the CRB II so I'm not even buying CRBs from lulu anymore. I absolutely love Athleta's high rise Chats! I just bought the Salutation crops in the new Powervita fabric, and I like those a lot too! Plus, I get 20% off coupons regularly enough and they have such great sales. 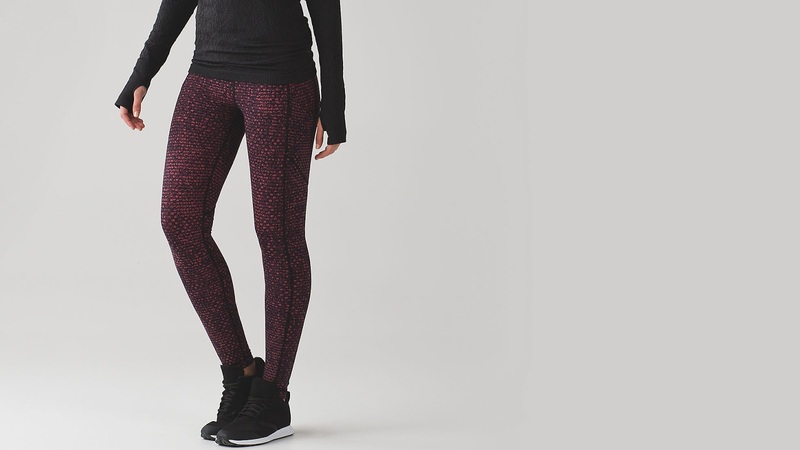 Lululaddict - I like Athleta's Relay Capri 2.0. Like Pace Rivals with the thigh pockets. I like my Sonar Capri's too. 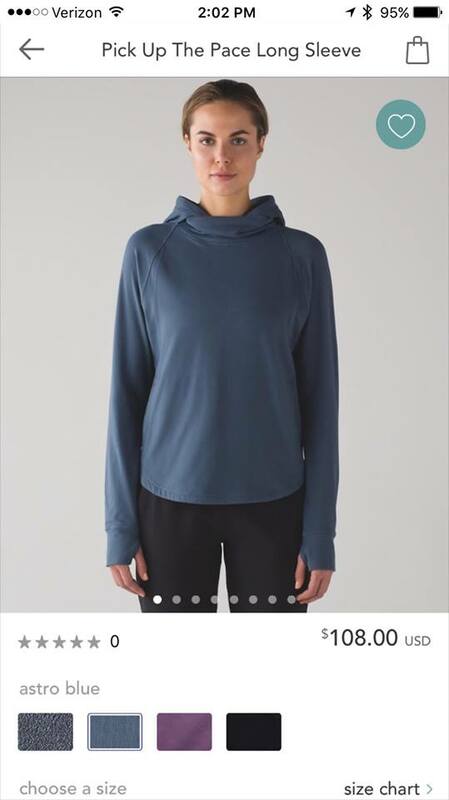 I have a huge amount of Athleta in my cart that I want to buy. And nothing in my cart on the Lulu site. First time this has happened. Too bad I have Lulu gc's. I'd rather have the Athleta stuff. Lol! I'm a bit confused: there's such big discrepancy between what most of us are saying (basically I'm over Lululemon and their boxy, basic, dreary, expensive stuff) and what Potdevin seems to have achieved in terms of revenue, projected revenue and share prices. Reading this blog (and Lulumum's) it seems Lululemon is in the final throes of their retail business, but the financial analysts seem happy. Are we just a small group of malcontents and the bigger world out there really does like what the company has become? Where's the truth? @ anon 7:47 am - Since we don't have access to any sort of data we'd have to take guesses at what is happening. I think if we had access to same-store data we could get a better idea as to what is happening and whether our sense that the brand is fading is correct or not. Some things that are helping revenue - If you build more stores you will increase revenue, and lululemon is still adding stores. Also, don't forget how much prices have been increased, quite a few items in the realm of close to 10%,and some by a lot more so if revenue is up you can't forget it's due to higher prices. We'd need to see data on how many pieces are actually being sold vs. overall revenue to know whether this is true or not. Are your sales "better" if you are selling fewer pieces but at higher prices? Additionally, by fixing the inventory system and RFID tagging everything Potdevin also was able to make sure product gets off the store floor and into customer's hands at a higher price point, and I think that is helping their bottom line a lot. If your store is out of an item, you can look at the app and see other stores that have it, call them and they will ship to you. Additionally, when the warehouses run out of an item the website can still pull from store inventory - that is why we are seeing "popbacks" in inventory on the website a lot more, and within days. I think there is a lot less shipping back and forth from the warehouses to the stores and then back to the warehouses again, and this is saving a lot of money. Adding to what LLA said, we're a small community who follow this stuff really closely because we used to spend buttloads at LLL. Essentially, the company traded us for lots of mass market customers who will only buy a few pieces a year, but who isn't really that particular about them. And while Potdevin's spin is nausea inducing, I don't think they're actually cooking the numbers. When I walked by Lulu stores at Christmas, there were lines. I didn't go in, because there's nothing there for me, but for every one of me, there are ten new customers whose teenage daughter wants something - anything - from LLL for Christmas. I've been watching a few of the items on the site with interest. 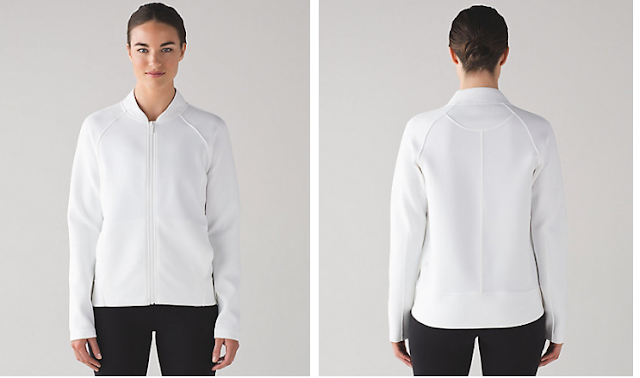 The Lightly Jacket has two reviews and a 1 star rating and yet, some sizes of white are totally sold out. So basically, people are buying the stuff, they just don't really care about it enough to leave a review or follow a blog. 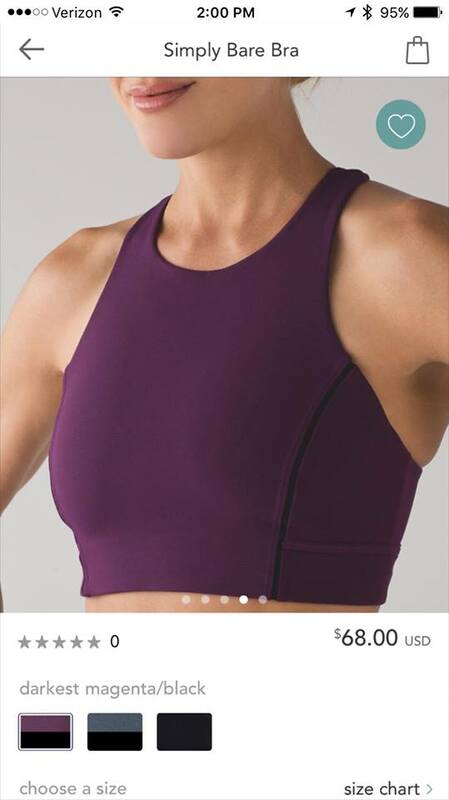 @ anon 7:39 am, @ anon 7:45 am - I went to Athleta today and was really surprised by how much I liked what I tried on. I usually grab like 30 items and leave with nothing. This time I liked about half a dozen things. They have a new fabric - Powervita - that seems like a nulu challenger except it's a bit thicker and a little more compressive. I got the Salutation Crops, which seemed like an Align dupe except priced at a nice $69. I also tried items from the new Sculptek line, which seems like power luxtreme. More of their pieces are nylon/lycra now instead of polyester and lots of things were super soft. I'm used to their fabrics being scratchy. I can see why people are turning more and more to the brand. I wish Athleta would come to Canada! Like seemingly everyone else I haaatttteee the winter colors. :(. Not a fan of the prints and one can only buy so much black. Was happy to see some bold colored hi rise wunder unders added to we made too much this week. Hoping spring breathes some life into the collection because, for as much as many seem to be disappointed with the quality, I haven't found a good replacement for luon elsewhere.